The Yoga was designed to be a stylish, fun flat, flip flop sandal that can be worn all day comfortably. With the Yoga, the primary feature is comfort! We use yoga mat material as the foot bed to ensure this will be one of the most comfortable sandals you ever wear. Drawing inspiration from outdoors, care free styling and timeless design features, you can rest assured that the Yoga will look great in almost any casual situation. Even better, with multiple color options available, you can always find a version of the Yoga that will look just right; even with those hard to match outfits. 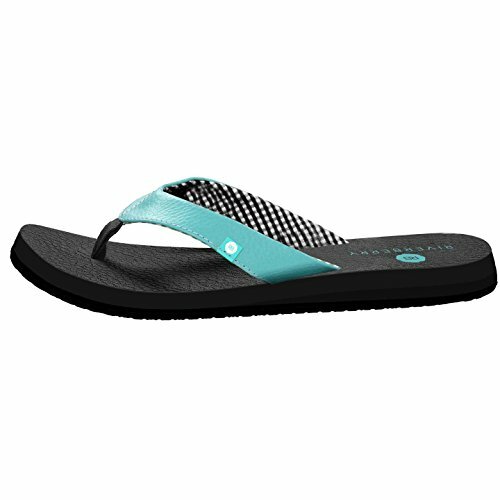 Flip flop sandals are all about their easy on off design and comforable wearability. They are a versatile style that is great for casual occasions. The Yoga features an open, traditional strap design and a yoga mat padded foot bed. If you have any questions about this product by Riverberry, contact us by completing and submitting the form below. If you are looking for a specif part number, please include it with your message.